Today I was working on a header banner for the YouTube one channel design. I wanted to overlay the name of my channel on an organic wood background. The problem was that the only version of the text I wanted to overlay was already on a white background… I didn’t have the original source file with layers. So how can you get rid of a white background on one image if you want to layer it on top of another image? 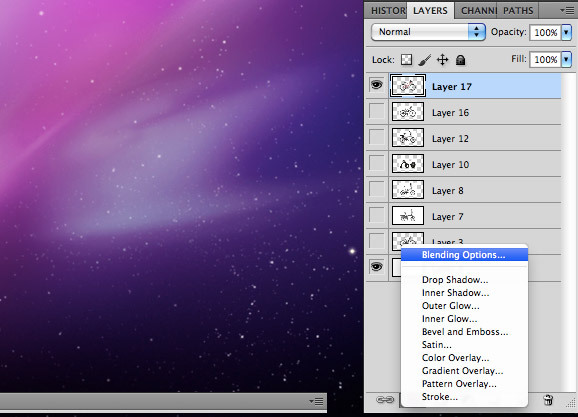 Just select the first image in the layers section then go to the layers style “FX” button and click the blending options. 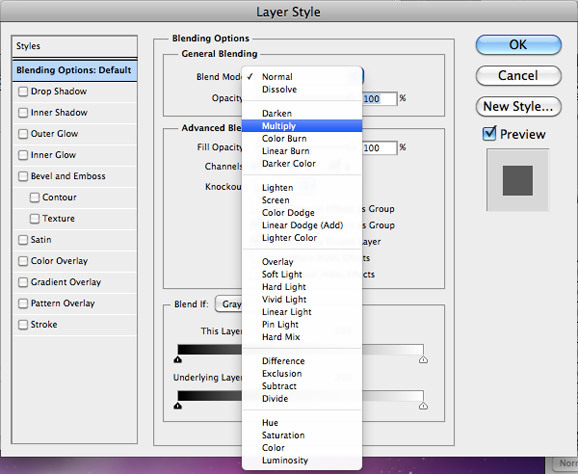 Now click the drop down for blending mode and choose “multiply” and the white background will vanish! All you’ll be left with are the other colors and you can layer it onto the background. Other tips: If you are intending to put the artwork onto another layer, you can set the layer to multiply and this will make all the white parts of the layer transparent. You could also try “Replace Color”, or select a color range & apply a mask… but changing the blending mode to multiply / screen & placing it over a white / black layer is going to be the easiest. Put it on a new layer, and set the transparency to darken. Agree with Multiply option for first choice– if you want the black ink to be JUST black ink though, be sure you’re working in CMYK (otherwise, it’ll be a blend). If you wanted to truly make a layer “so that “50% grey” becomes “black with 50% opacity” (or equivalent)” — it’s a different spec, but there’s a filter you can Google for called “Eliminate White’ that does this nicely. Essentially, it translates a layer’s luminosity to layer mask, and then applies the mask to the layer and deletes the mask. This entry was posted on Monday, October 21st, 2013 at 11:06 pm.